The violin creates an atmosphere of anxiety, agitation and emptiness of the composition. But at the same time, we can clearly observe depth, independence and freedom in it. The sounding periodically becomes a technogenic mass, sometimes it contains motifs of ancient Persia. According to the artist, he was inspired by sense of loneliness, hopelessness and splashes of freedom. 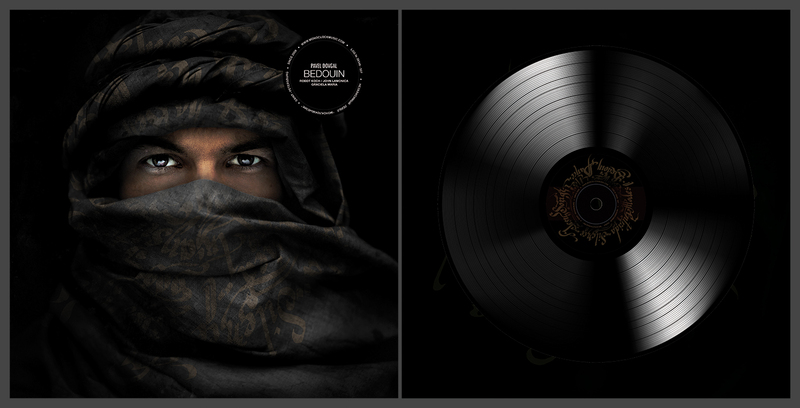 The whole team of musicians, actors and artists was working with this album. JohnLaMonica has added his rich voice in the album. Philip Saulin from "Synergy Orchestra" gave us full color and atmosphere with the help of the violin and strings. He also provides a visual picture of what is happening around us. The author of the song Jesu Song is Sergei Verhovski. Graciela Maria and Robot Koch were also working with compositions. Bedouin is a person who leads a nomadic way of life regardless of his nationality and religion. The freedom and independence. That is the philosophy the author wanted to show.